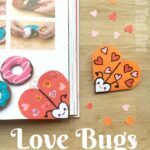 After Love Bug Bookmark Corner a couple of years or so ago, we have neclected our love for Corner Bookmarks, even though they make such great classroom projects, as well as fantastic gifts kids can make. 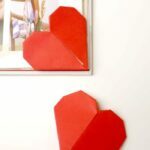 So I thought it was time to bring back the bookmark corners.. and make a new Valentine’s Bookmark Designs. 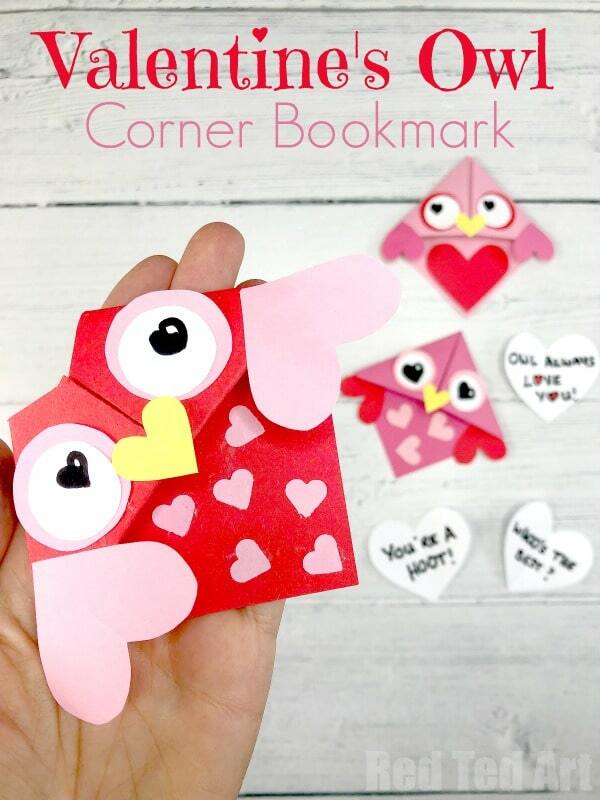 I am hoping that today’s Valentine’s Owl Corner Bookmark is just the thing for kids to make in the classroom and give to their best friends. And, oh we do love a PUN for Valentine’s Day. What a Hoot! 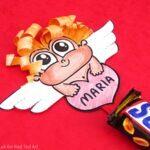 Our Valentine’s Owl isn’t just a cute owl.. but we also list a set of puns that the children can use on the back of the DIY Valentine’s Gift Idea. These would make great classroom activity for KS1! 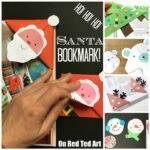 And I hope that you will agree that this is a great seasonal Paper Crafts for kids! What are some great Owl Puns? Owl You Need is Love. Hope that is enough! I am sure you can come up wtih some more Owl Puns on your own. We wrote the owl puns on a separate white heart and stuck them to the back of the bookmark. 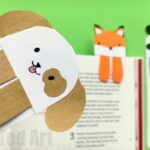 As per usual, you can watch the following Owl Bookmark Video How To or check out the Step by Step instructions outlined below! 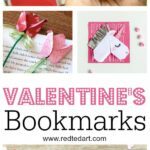 Valentine’s Owl Corner Bookmark – Step By Step Instructions! 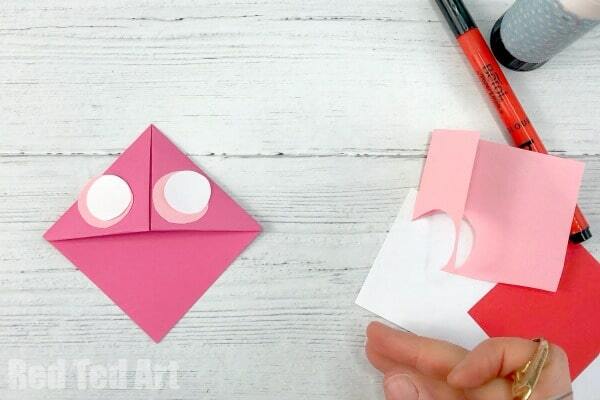 Begin by making a basic Origami Bookmark in the desired colour. I have a step by step photo instructions post for you here. 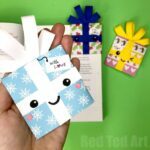 It is quick and easy to make this basic bookmark. 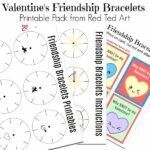 Then be sure to come back to this Valentine’s Owl Decorating page! 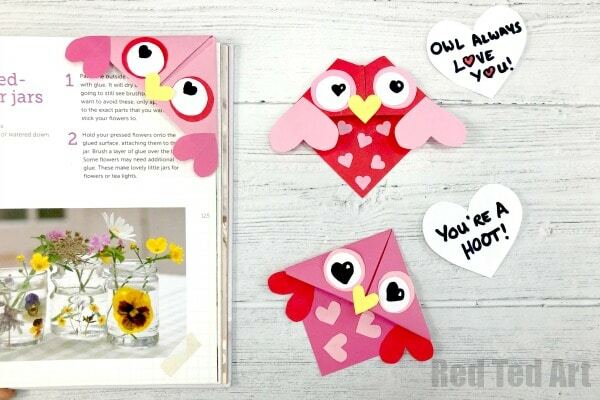 Time to cut out some shapes that will turn your basic corner bookmark into an OWL Corner Bookmark for Valentines. I begin with two white circles and two slightly larger circles in pink for the eyes. You can use a coing to trace these circles and get a perfect shape. 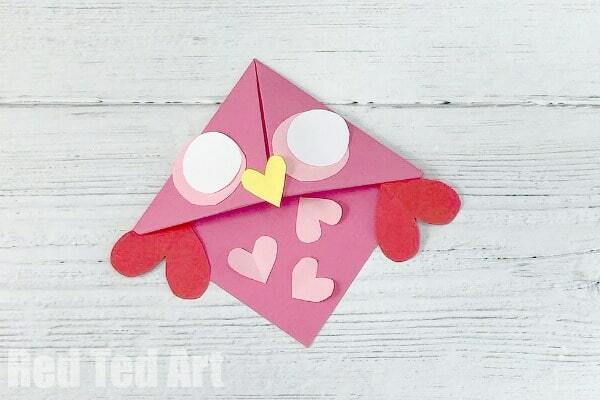 Next, I need a series of hearts for the Valentine’s Owl feature’s – a little yellow heart for the beak, some pink hearts for the tummy and two medium sized hearts in red that will make the wings. 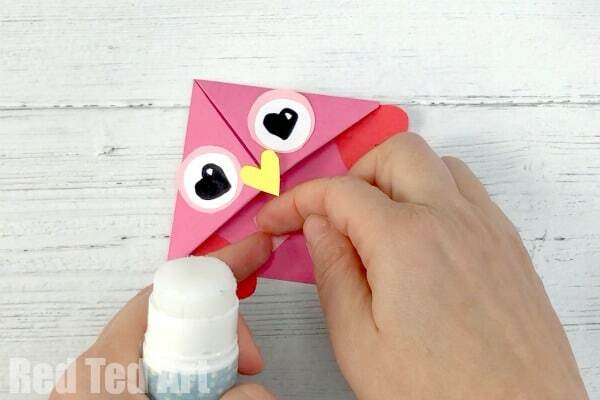 Draw some heart shaped eyes onto your white circle and start gluing all your owl’s featurs onto the corner bookmark! Finished. Aren’t these Valentine’s Day Owls adorable? 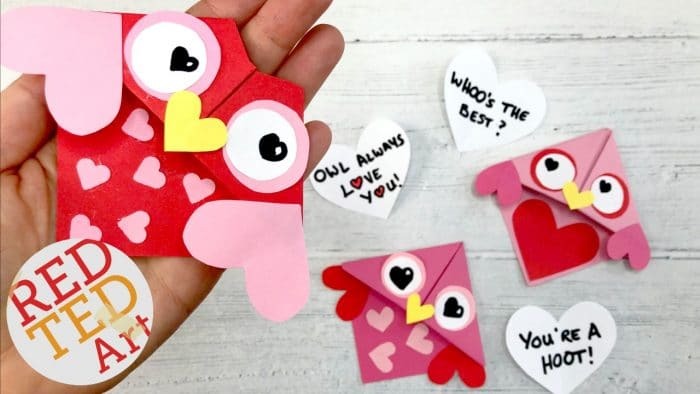 You can experiment with different sized hearts, snip a detail into the Owl’s head (see the red owl in the picture above) and write out lots of Valentine’s Day Puns to go on the back of your corner bookmarks. Just lovely! 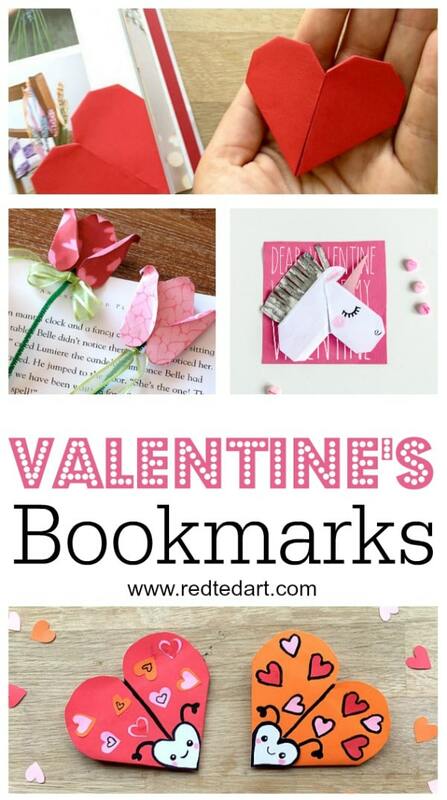 Do take a peak of our Valentine’s Bookmark Designs – so many cute ideas to choose from!